The new Sailor V game eclipsed the atmosphere of the Crown Game Center for Usagi. The glamour of crime fighting in reality, however, gave way to previous terror-filled scenarios playing out in her mind. Facing a brigade of citizens transmogrifying into youma, Usagi chose her time to shine, letting go of her tiara from her steely grip, watching it sail in a shimmering veil, healing all the poor souls with moonlight and love. Moon Tiara Stardust is a white-silver based pearlescent highlighter with a pink-green-silver color shifting sheen and tiny pin pricks of icy silver, gold, and pink shimmer. 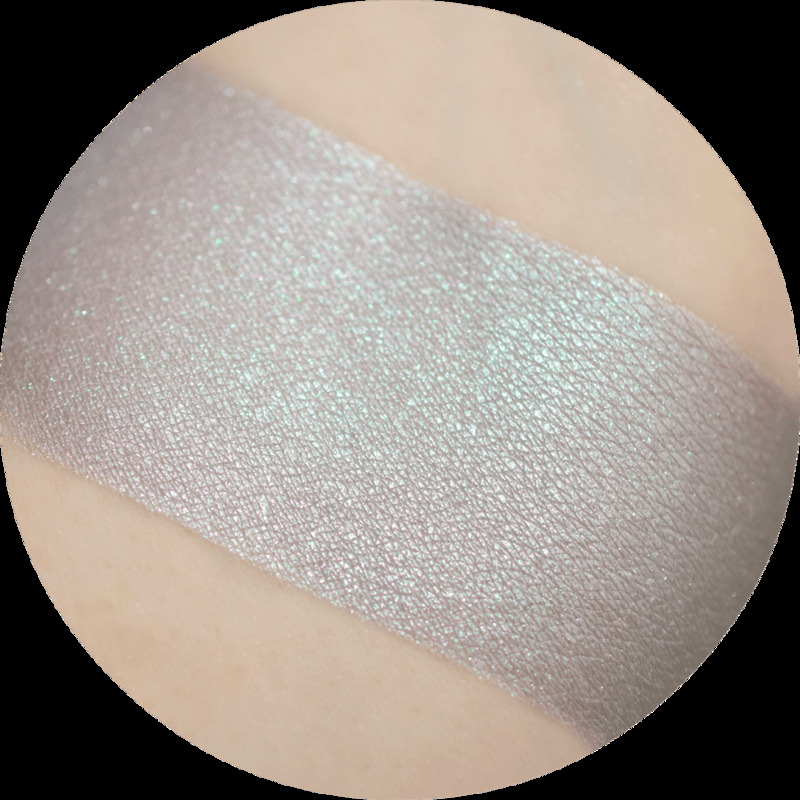 Moon Tiara Stardust is shown stippled heavily over our Power Up Primer to show its base color as well as its sheen and sparkle. This beautiful multi-tasker is also useable as an eyeshadow, and is great for use on the brow bone. It can be used to add a touch of shimmer and sheen to the face, decolletage, hair, or anywhere else on your body you'd like a touch of illumination! Moon Tiara Stardust is also lip safe. 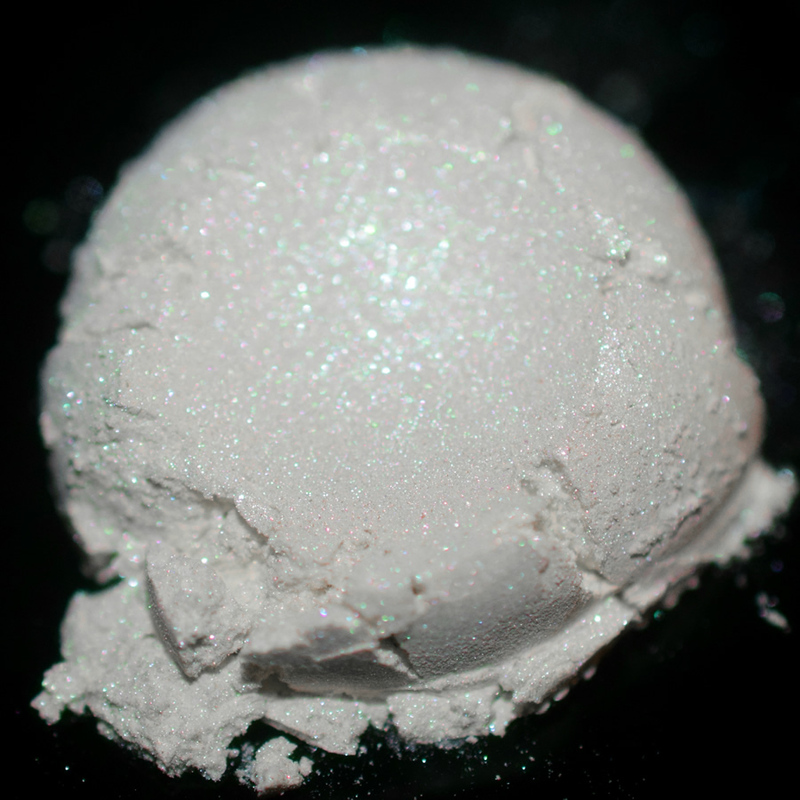 Moon Tiara Stardust as listed is in a 20 gr jar with sifter and screw-on lid.